Radioisotope and Radiation Physics: An Introduction is based on lectures delivered on a course in the use of radioactive isotopes. The course is organized by the B. Kidric Institute of Nuclear Sciences in Belgrade. The book presents the fundamental concepts on the use of radioisotopes. It aims to help the reader handle the quantitative data given in specialized handbooks and promote further reading. The subjects covered in the text include the Feynman diagrams and virtual particles; the phenomena of collisions between particles and atomic systems; and the penetration of alpha, beta, and gamma radiation. 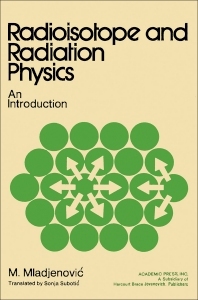 The text is intended to professionals in other fields who are interested in the study of radioisotopes and radiation who only has a very rudimentary background in physics.